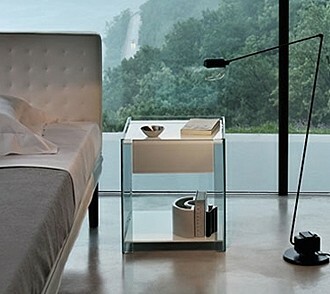 Bedside table in curved 8mm thick transparent or smoked glass. 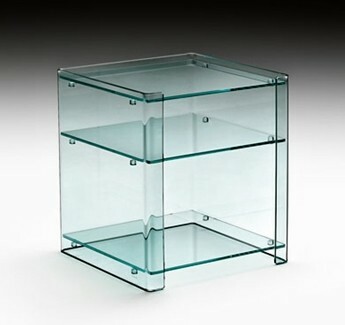 Available with 8mm thick glass shelves (transparent, smoked, black or white) and a wooden drawer, black or white lacquered, with glass front in matching black or white. The unit can be fitted with 2 or 3 shelves or 2 shelves and one drawer. 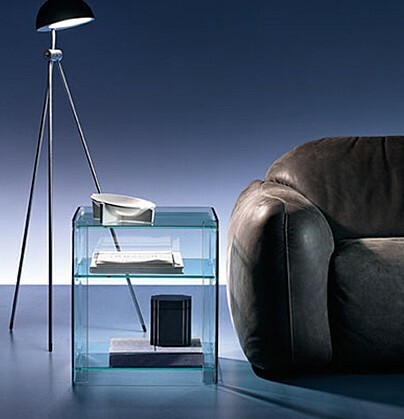 Also available in extra clear glass on request, please contact us for a specific quote.